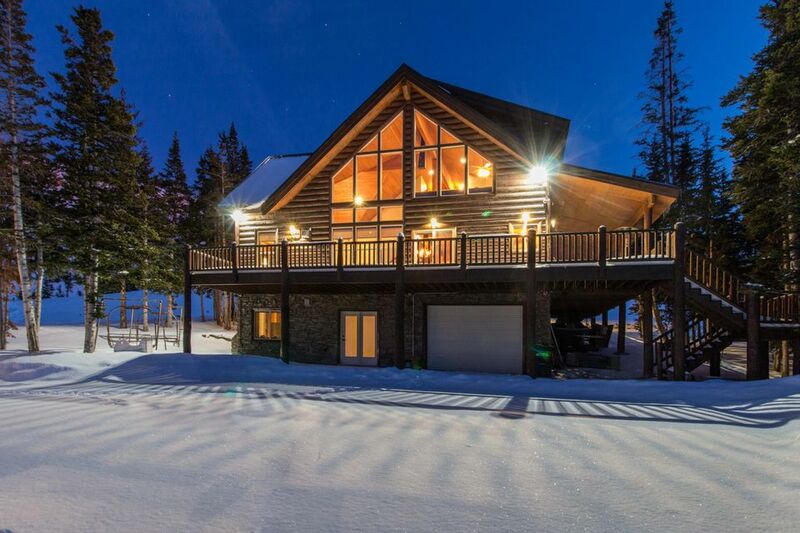 Own at the top of the mountain and have the views that few have! This beautiful cabin was renovated and remodeled in 2017 including the addition of a new must have custom detached toy garage. The cabin offers entertaining feel for those that wish the abundant family space or the entertaining room. The property has 5 full bedrooms with 4 full baths plus 2 half baths. Bedrooms: one king in master, three queen guest rooms, four twins in the upper loft, 2 queens in guest area, two top notch kitchens for your cooking and three separate living rooms. All controlled by your phone: (5) Thermostats with heat in all garages, 16 security cameras throughout property, exterior lighting and the ability to control all 4 garage doors. Property has electric window shades and coverings on all windows.